What Exactly Is Fine Hair? 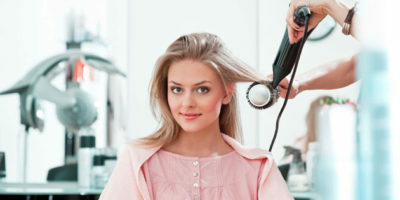 Do you find yourself hesitating to dry your fine hair with a blow dryer because that always tends to damage it? Well, you are not alone by any means and countless numbers of people with fine hair feel the same way. The thing is it does not have to be that way. With a good hair dryer that has the right settings and features, you can easily style your fine hair without damaging it. 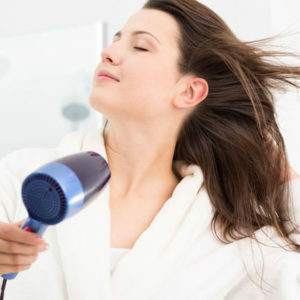 In this article, we will do hair dryer for fine hair reviews and also tell you about what features are important to have on a hair dryer that make it perfect for styling fine hair. By the time you are done reading this article you will either really like one of the models we have chosen or have the knowledge to find the best hair dryer for fine hair type. 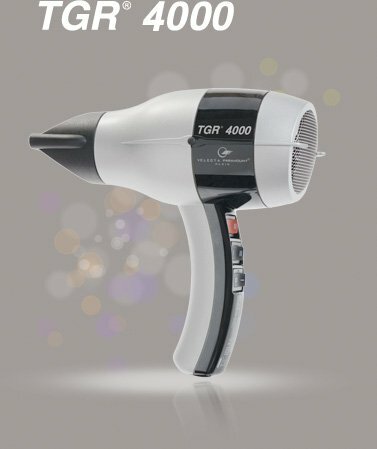 Here is a hair dryer that will make quick work of drying your fine hair thanks to its nice 1800 watt heat and air power. Worried that is too much power for your fine hair? Well, guess again because this hair dryer has built-in tourmaline infusion technology that will protect your fine hair as you dry it. It also uses gentle proprietary SoftAire technology that does not create hot spots like other hair dryers often do. The way it protects your fine hair is even further enhanced by its 3 heat and 2 airflow settings. It allows you to customize the drying settings the way your particular type of fine hair likes them. Ceramic heat is gentle on fine hair because it produces such an even temperature. That is exactly the type of heat generation you get from the Elchim 3900. It can also generate as little or as much hair drying heat as you want thanks to its 2000 watt motor. That means you can use it on your fine hair or if you are a salon professional, you can conveniently use it on all different hair types. fine hair damage when you dry it. 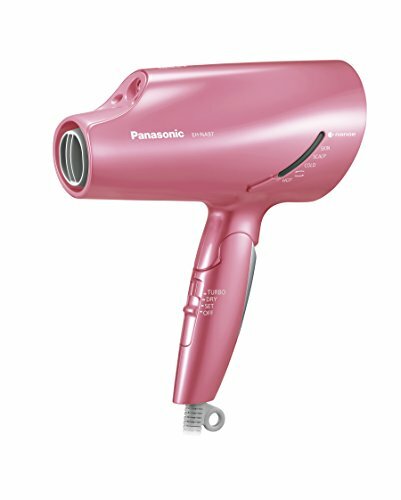 Panasonic has taken the ability to safely dry your fine hair to an all new level with this hair dryer. It uses their own version of progressive Nanotechnology. This technology is widely believed to take regular negative-ion technology to a whole new level. Nanotechnology helps your sensitive fine hair retain much more moisture as you are drying it. Other great features this Panasonic hair dryer has that are very useful for protecting fine hair when drying it are its 3 heat settings, 2 airspeed settings, and its quick cool shot button. Its 1200 watts of power and its dual voltage capability make this hair dryer worth taking a closer look at for those who have fine type hair. 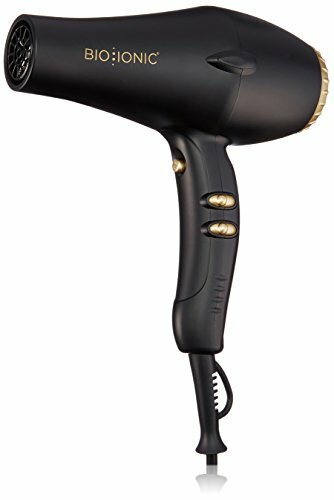 Here is a hair dryer from the reputable Bio Ionic Company that takes blow drying fine hair safely into previously unchartered territory. It actually uses gold flakes and other mineral coatings inside it that do a fantastic job of protecting fine hair as you dry it. Gold infusion provides the most gentle and even heat you will ever find in a hair dryer. The other minerals infused into this dryer help your hair retain moisture and when combined with the ultra-even heat it provides superior protection for fine hair as you are drying it. Other nice features found on this hair dryer are its 1875 watts of drying power and its unique round barrel design that optimizes airflow. Do you like to use more air than heat to dry when drying fine hair that is vulnerable to damage? Then this turbocharged hair dryer from Velecta Paramount will do the trick nicely for you. Its 1875 watt motor helps generate airflow that is estimated to be around 80 mph on this dryer’s highest speed setting. 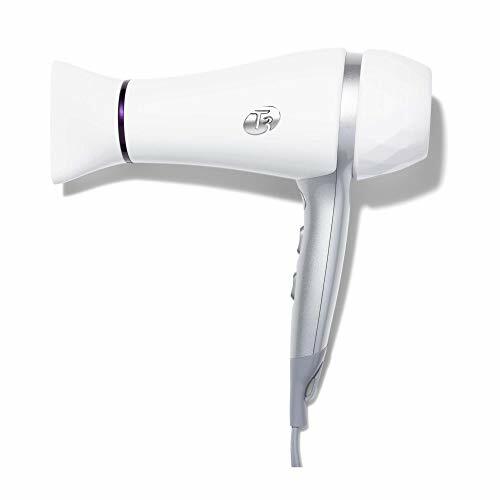 This Velecta Paramount hair dryer also adds negative ion infusion into the air mix that breaks down water molecules to help speed the fine hair drying process without using excessive amounts of heat. Rounding out a nice array of hair dryer features are its non-kinking 9-foot power cord, a removable lint screen and a stylish design that looks great hanging in your home or salon. This hair dryer from the popular manufacturer BaBylissPRO has about everything you can possibly put in a hair dryer that will make it ideal for drying delicate fine hair. 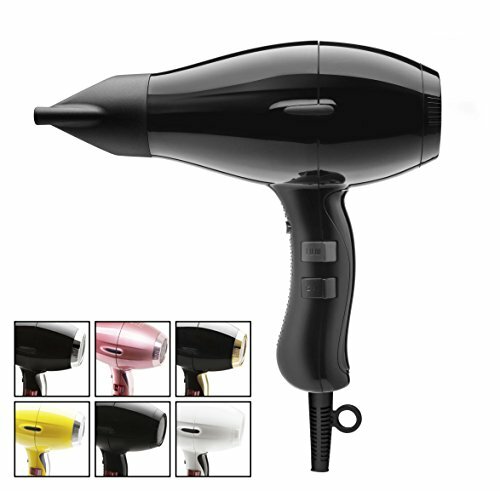 It is an impressive hair dryer thanks to such things as its 2000 watt power and its 6 different heat and speed combinations. Nano/Titanium coatings. This helps fine hair retain its all-important moisture during the drying process while reducing the time it takes to dry hair also. Adding to what makes this a great dryer for fine hair are its cool shot button, included hair concentrator nozzle and its gentle far infrared heat generation. Maybe you are wondering if your hair falls into the category where it is considered to be fine or not? You are not alone if this is the case. Here are a few facts on what it means to have fine hair. Let’s start off by saying what fine hair isn’t. Whether you have lots of hair or not on your head does not have anything to do with if your hair is fine. The denseness of the hair on your scalp only means it’s thick or thin. People with fine hair can have thick hair at the same time and people with coarse hair can have thin hair at the same time. It is hard to feel in between your finger unless you feel several strands at the same time. If you put it under a microscope you would notice it only has a cortex and a cuticle layer. Unlike all the other types of hair textures which have an inner medulla. (This is why fine hair is why fine hair is more fragile and delicate than other types of hair and can be easily damaged by blow drying it). Most of us do not have some fancy equipment handy that is capable of measuring the diameter of a strand of hair or seeing its cellular structure. But there is a way you can tell if your hair is fine or not. Step 1: Pluck a single hair from your head. Yes, it hurts but only for a second and it’s for a good cause. Step 2: Place that strand of hair between the tip of your thumb and index finger. Step 3: With the other hand slowly pull the strand of your hair up and out between the tip of your thumb and index finger. Did you feel anything when you did this or did the strand of hair resist a little when pulled? If not then there is a pretty good chance you have thin hair. Medium hair will provide some resistance when pulled and coarse hair has a very pronounced feel to it when in between your thumb and index finger. It’s no secret that one of the easiest ways to damage fine hair when blow drying it is to saturate it with excessive heat. Most hair dryers will be too hot for fine hair on its highest setting so you want to buy a model that has multiple heat settings to choose from. That way you can choose a heat setting that you know does not damage fine hair. The ability to adjust the airflow in any hair dryer you are using on your fine type hair is important too. It was mentioned that high heat tends to damage fine hair but it’s even worse if that heat is concentrated and not spread out evenly in a hair dryer’s airflow. That is where ceramic coatings can play a vital role. When a hair dryer’s heater and other working parts have a ceramic coating on them it tends to distribute the heat evenly throughout the stream of air that comes out of them. This helps avoid the hotspots that can easily damage fine hair. The big benefit you get from negative ion infusion is it takes less heat to dry your fine hair and that helps protect it. This technology accomplishes this by breaking up larger water molecules into smaller ones that can be dried more easily. Negative ion technology also helps hair retain its moisture better (this is critical for fine hair) and also helps eliminate static electricity which makes fine hair harder to style. Nano infusion is just an advanced form of negative ion technology that is said to be capable of allowing fine hair to retain almost 100 times more moisture than regular negative ion infusion. This not only cuts down on fine hair damage when blow drying it but also leaves fine hair looking shinier and healthier too. This type of heat generation is said to produce heat that is very compatible with fine hair types. That is because of the way this technology goes about drying the individual hair strands. Far infrared heat generation is a gentler type of heating because it dries hair from the inside out. Since the inside of a hair strand is much less vulnerable to damage than the outside it makes this technology ideal for use on fine hair. A button on a hair dryer that cuts of the flow of heat temporarily is called a ‘cool shot button’. This can come in handy when blow drying and styling fine or any other type of hair. Professional stylists really love this feature because once hair has been styled giving a quick burst of cool air will help set it in place. These are also nice to have because if you feel a section of your hair getting to warm a quick cool blast of air will help keep it from getting damaged. If you are like many people that have fine here you most likely get frustrated when you try to give it some volume, bounce, and thickness. It is a complaint that I hear very often from people with fine here. Trying these steps may help solve that problem and help you give you a thicker and more voluminous look to your fine hair. This is a very common mistake that people with fine hair do. When you vigorously dry your hair with a towel it can be especially hard on the sensitive cuticle area and leave it tougher to style and add volume to as you do it. Instead, just blow dry your hair with the towel by gently pressing it against different areas of your hair. It may take longer but the results will surprise you much. You may be under the impression that the only way to add volume to your fine hair is when you are blow drying or styling it but that is entirely not true. Some people experience significant results by starting the volume and thickness adding process right in the shower. Use of volumizing shampoos and conditioners can provide an excellent foundation in which to make giving your hair more volume and thickness easier. Hot tip: Don’t apply conditioner all the way down to the roots because it can cause oil buildup and that will hurt when you are trying to add volume and thickness to your fine hair. Coconut oil is a natural oil that already comes in many hair care products including those designed to add volume and thickness. It smells good and has other properties that make it good for your hair too. It acts much like a leave-in conditioner when you put it on your hair. Not only does it help thicken your hair and create volume but it also will penetrate through the outer layer of your hair during drying and styling to help stop loss of the essential protein that fine hair needs to stay healthy. Here is one of the most common mistakes that people make when trying to add volume and thickness to their fin hair type. They do something as simple as selecting the wrong hairbrush to accomplish this. It may not seem like much but the wrong styling brush can actually take away volume and thickness from your hair as you use it. It’s best to avoid brushes with metal bristles (they tend to heat up when blow drying) and brushes that have hard plastic bristles (known for snagging and easily breaking fine hair). Choose a hairbrush that has more flexible nylon bristles or all-natural boar bristles that are much gentler on fine hair. Believe it or not, parting your hair in the same place can start to take away volume and thickness from it over the years. Something as simple as relocating your part can give instant lift and volume to your hair because it’s no longer in the same old packed down position that it has been trained to be in for years. 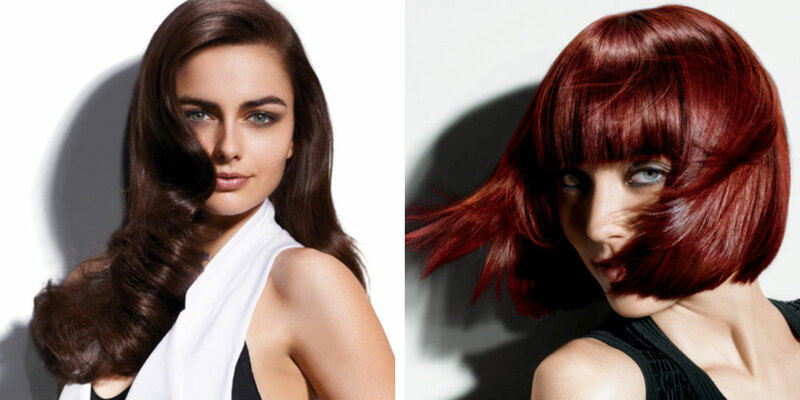 Not only will changing your part seem to add volume and thickness to your hair but it might also give your hair a bold new look that others will love. Question: I have fine flyaway type hair. My good friend told me that I should not shampoo it every day. Is that true? Answer: No, it is absolutely false. Everyday shampooing is good for your fine hair as long as it’s done right. It eliminates oil buildup and other problems that can make your hair dull and lifeless. Ask your salon professional about specific shampoo and conditioning products that will benefit your type of fine hair. Question: I have very fine and thin hair. I was once told it was good to start at the ends when brushing it out. Is that true? Answer: Yes, it certainly cannot hurt that is for sure. When you have fine hair it is just so much more delicate than other types of hair and it’s easy to pull out if you tug on it from the roots when your hairbrush hits a snag. Brushing your hair starting at the end of the strand does not tug on the roots. Question: Should I stop blow drying my fine hair because heat is so rough on it? Answer: No, but heat is definitely not your fine hairs best friend. As we have discussed repeatedly in this article if you have fine hair you must get the right type of dryer to use on it. It should definitely have a low heat setting, some mineral infusion and other features that make blow drying gentler on your fine hair. 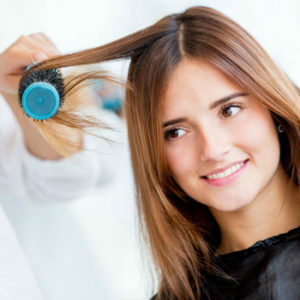 Without a doubt, if you have fine hair you have to be very careful with it whenever you blow dry it. If you don’t you can severely damage it and the results will not be pretty. That is why having a good quality hair dryer that has many features that will benefit fine hair is a big help. Hence the reason we took the time to do hair dryer for fine hair reviews. You can choose any one of them and be comfortable knowing that if you set them right they will not damage your fine hair. The buying advice for finding a hair dryer that works well on fine hair should not be taken lightly either when shopping for one. If you use the fine hair information presented to you here in this article you really should have no problem finding the best hair dryer to use on fine hair. 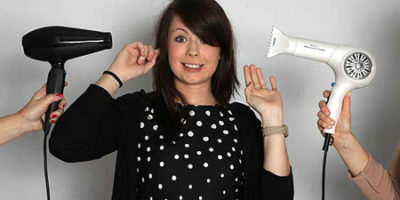 Best-Selling Hair dryers For Fine Hair!